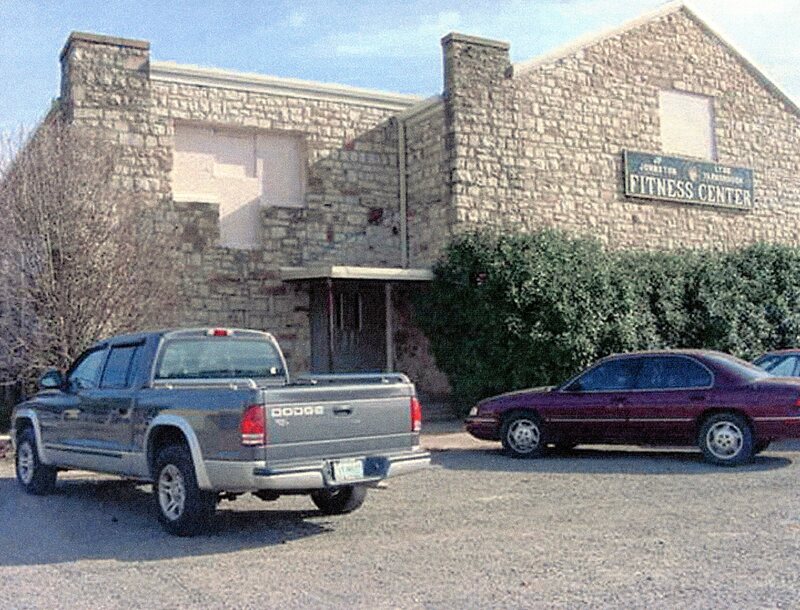 The Heavener gym and auditorium is a two story, rectangular (84′ x 90′) structure constructed of rusticated and roughly coursed native standstone. The roof is both gabled and flat with parapets. Extending vertically through both floors, window openings with concrete sills are separated by brick work. Double-door entryways are covered with lean-to porches. The roof extensions lend an art deco flavor to the building. Most windows have been enclosed with inserts of brick, an alteration that does not severely impeach the architectural integrity of the building. 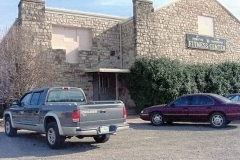 The gym/auditorium is significant because construction of it enabled destitute workers in the Heavener area to find jobs when none were available in the private sector and because it provided space for school and community activities, especially basketball, which fostered a sense of identity and pride not widely known in the region beforehand. As a WPA building, the structure is notable for its scale, excellent masonry, and hint of art deco style. Within the Heavener community it is unique architecturally because of its type, style, scale, materials and workmanship.